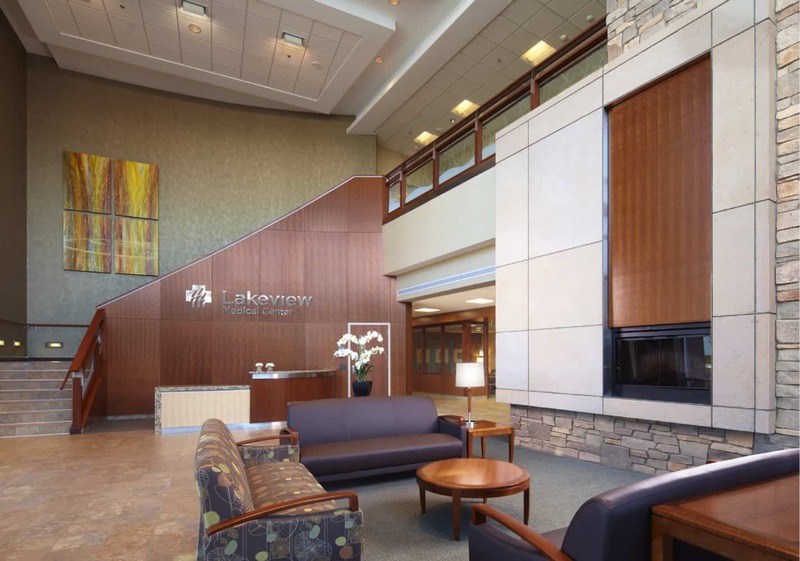 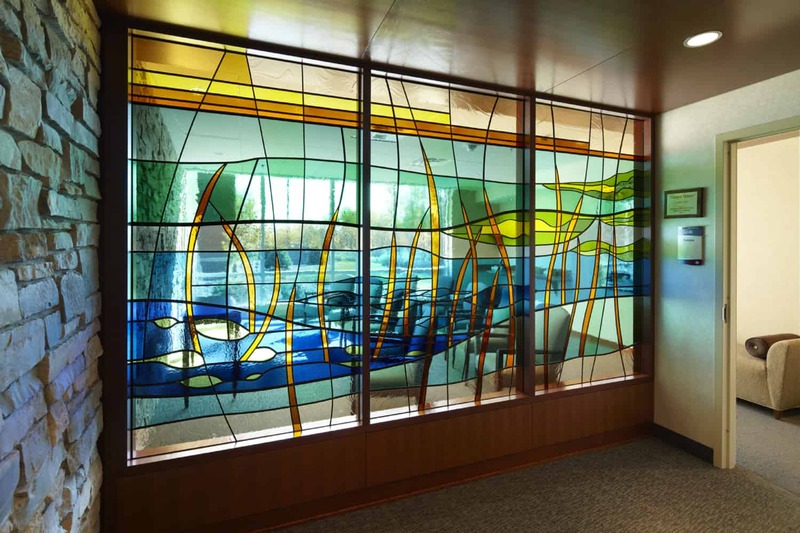 Located in the northwoods of Wisconsin in the heart of the Red Cedar River Valley, Lakeview Medical Center’s new three-level facility uses elements that celebrate the heritage of the region’s lakes and landscape to provide a striking visual appeal along a major highway into its hometown. 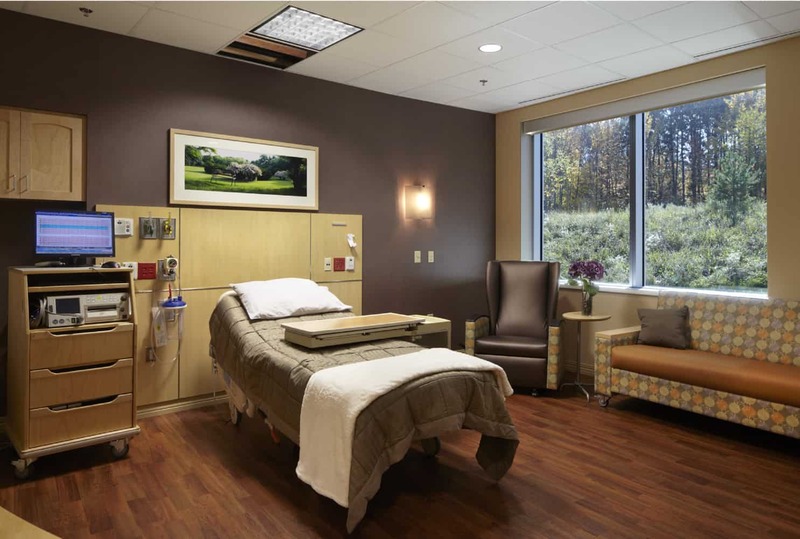 Bringing efficiencies befitting a modern 40-bed hospital, in-room nurse supply cabinets and wireless electronic technology allow nurses to spend more time at the patient bedside. 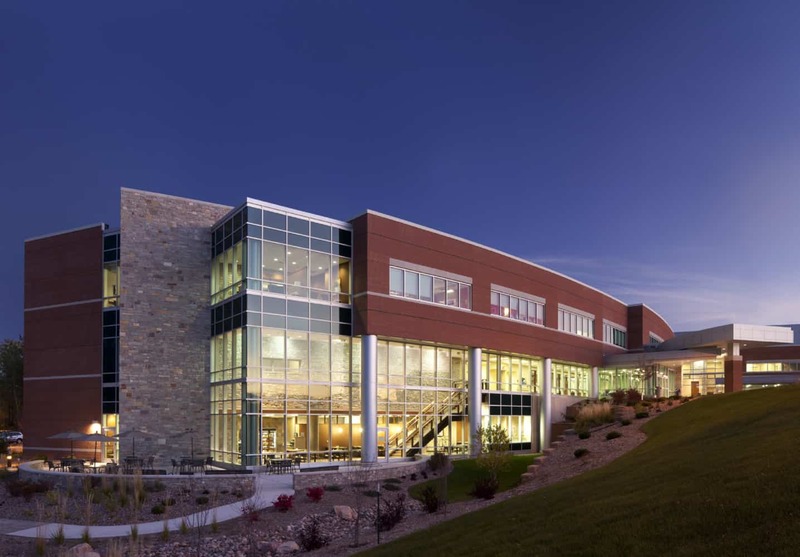 The location of the laboratory allows the hospital and clinic to share services for increased efficiencies, while CT scanning and radiography are located with the emergency department for quick responsiveness and patient convenience. 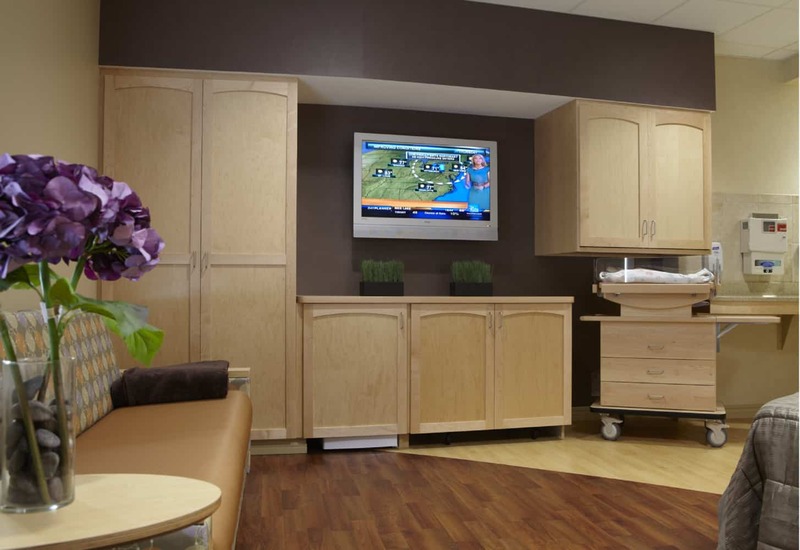 Complementing the patient-centered care strategies are design elements to comfort patient and families and attract staff. 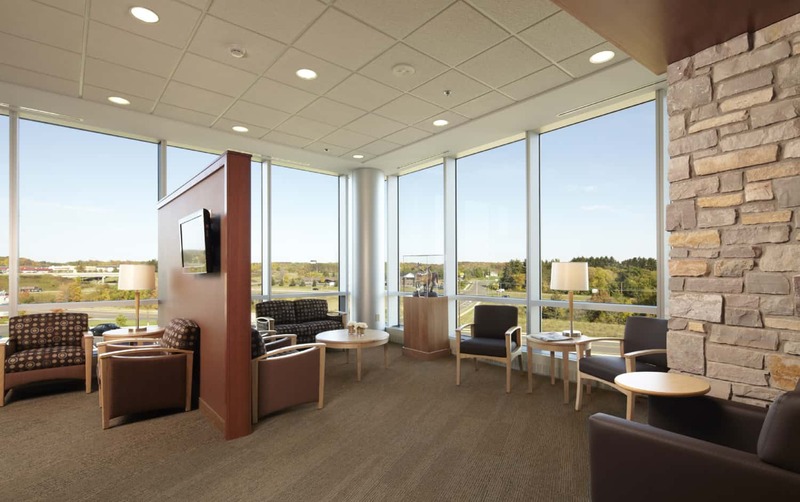 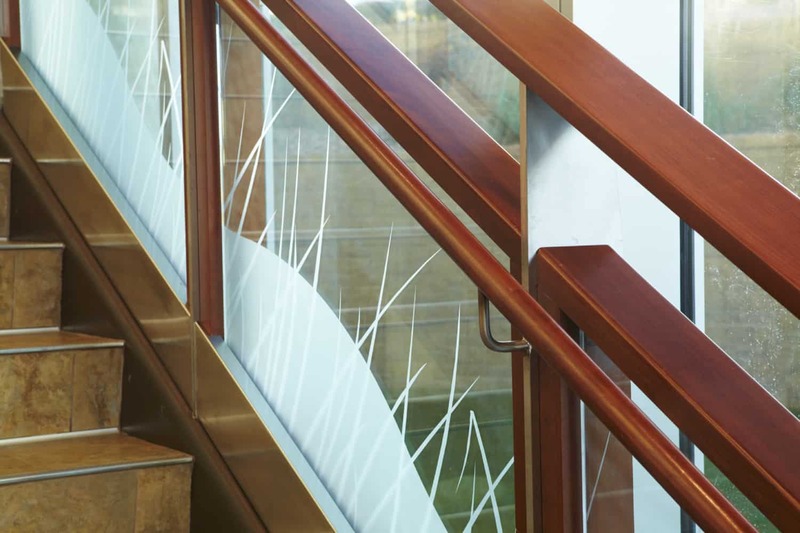 Wood, stone, and textured wallcoverings create a lush, rich ambiance and warmth upon entering the medical center. 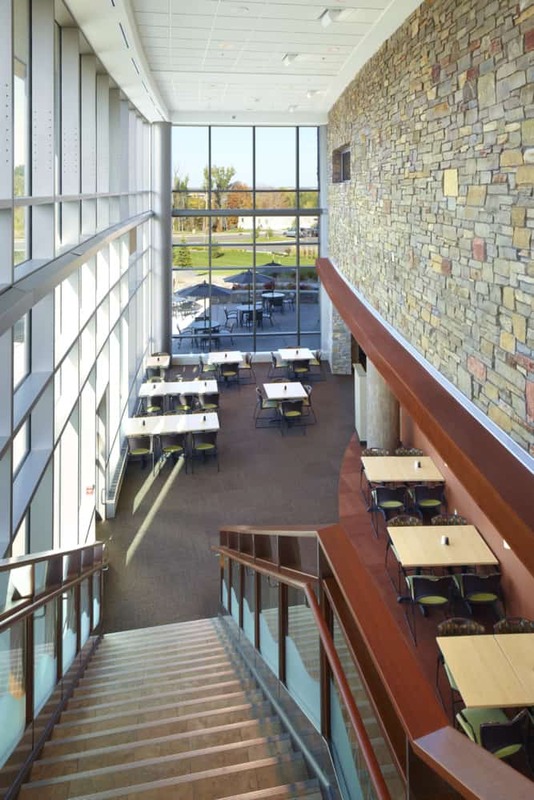 The glass architecture allows light to flood into the facility, which uses the sloping topography to create another level for dining and other services.